Self-driving cars are not something that is far off in the future. The reality is they are already here, zooming around in real traffic in select cities, as Uber tests driverless cars. One city that might seem like an unlikely choice to see a self-driving car is Pittsburgh. After all, this Midwestern town is more associated with football and steel than high-technology. About a year ago, ride-share company Uber started a division in Pittsburgh that is bringing driverless vehicles to life. The long-term plan is to have a massive fleet of autonomous cars, on demand, that function 24/7. Now think about those implications to the millions of people employed as drivers. Some futurists predict, within as little as ten years, Uber and other taxi-related services will be 100% self-driving. That means a huge cost reduction in driver wages, not to mention big saving on auto insurance. It makes sense for transportation companies to embrace this new technology from a cost savings standpoint alone. Companies like Lyft and Federal Express spend millions in insurance premiums each year. With near “fail-proof” driving technology, the hope is accidents will be reduced to near zero. This will no doubt upend the automobile insurance market. Some firms may cancel their insurance policies altogether. In the meantime, any self-employed transportation worker needs to be fully insured at all times. To lower your auto insurance costs, get a free quote from Rodney D Young and save hundreds in a matter of minutes. In the past few years, companies like Mercedes-Benz and Google have been successfully testing driverless cars in select areas. Mercedes has been given a test license in the state of Nevada for its E-Class production vehicle. Soon, tourists may get spooked seeing a shiny new Benz cruising down the Vegas strip, driverless. In the near future, Honda and Tesla will also enter the autonomous driver market in the U.S. The technology is there, but consumers are a little apprehensive. It seems most men over 40 won’t even think of getting into a car, let alone a moving one, that is driven by a computer system. The so-called “millennials” however are excited about the prospect of this new technology. Many don’t own nor plan ever to get a personal automobile. They will just order up a car, on an as need basis, as they please. While there is not a concrete timetable as yet for Uber to rollout driverless cars nationwide, engineers are working to perfect the process. From digital maps to traffic safety, to integrating the vehicles into their app, the day will soon come when Uber will be a driverless transport firm. The price for a ride-sharing trip may even go down at some point, as the cost benefits of not paying a driver and lower car insurance costs are realized. 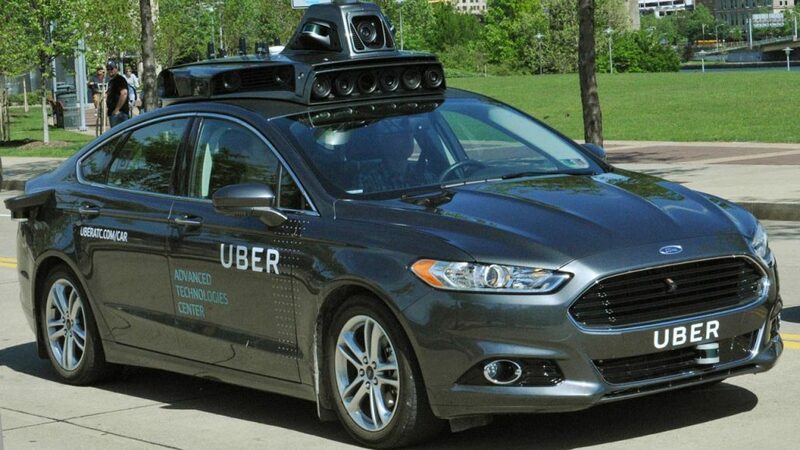 In the meantime, residents of Pittsburg can get a glimpse of the future, as test Uber cars are making the rounds on the cities streets and expressways. These Ford’s have complete driverless technology that includes radar, laser sensors, and cameras that are affixed to the roof. The cars look somewhat similar to the vehicles Google uses in their development. Uber plans to use drivers to assist with the development of the cars initially. The Ford Hybrid will change from a real human driver to self-driving, as the company collects more data and improves the process. Pittsburg has a variety of climate changes and road conditions. It is a good environment to test driverless cars. There is snow, ice, rain and heat conditions throughout the year. The roads and streets also vary quite a bit, which provides a good model to test under numerous surface types. While the future is fast approaching, for the time-being, Uber drivers need to carry quality automobile insurance coverage. This means a policy that covers not only the driver but the passengers. Get covered for less today with a Rodney D Young auto insurance policy online. With rates for liability starting at just $29 per month, nearly everyone can get insured. Get started with your direct auto quote online and lower your insurance bill today.